Earlier this year, the owner of nine Papa John’s franchises in New York City was brought up on charges wage theft for failing to pay his employees the legal minimum wage. As part of a plea deal, the franchisee will pay hundreds of thousands of dollars back to those workers and serve some time behind bars. New York state attorney general Eric Schneiderman announced today that the franchisee has pled guilty to failure to pay minimum wages. Another guilty plea was entered on charges of falsifying business records. The franchisee has been ordered to pay $230,000 in restitution to the employees who did not get the wages they deserved, another $50,000 in civil penalties, and has been sentenced to 60 days in jail. 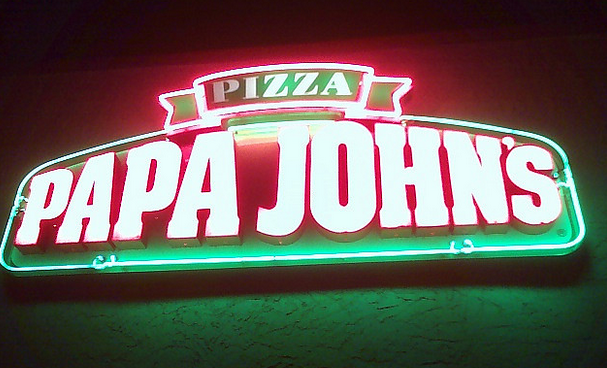 “Wage theft is a crime and a Papa John’s franchisee is now going to jail for cheating his employees and trying to cover it up,” said Schneiderman. “The Attorney General’s successful criminal prosecution of this employer, together with the Department of Labor’s civil consent judgment against the enterprise, show that employers will not get away with covering up violations of state and federal wage laws,” said Mark H. Watson, Jr., Regional Administrator for the Wage and Hour Division at the U.S. Department of Labor. Previous Should Malls Charge Kids For The Privilege Of Visiting Santa Claus?